The other day I decided I wanted to have a little pop of red on a couch in my living room. I wanted that little pop of red to be a reindeer. 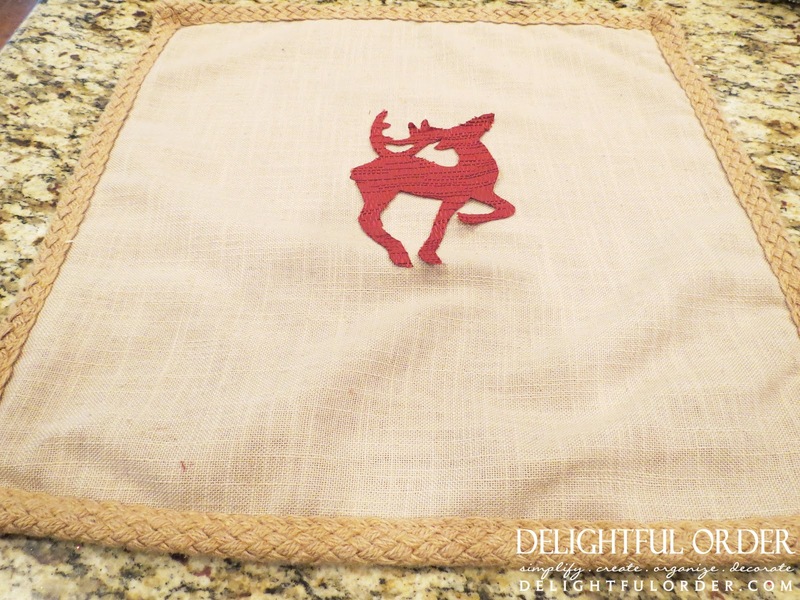 So with what I had at home, I decided to make a reindeer cut-out for my plain pillow. 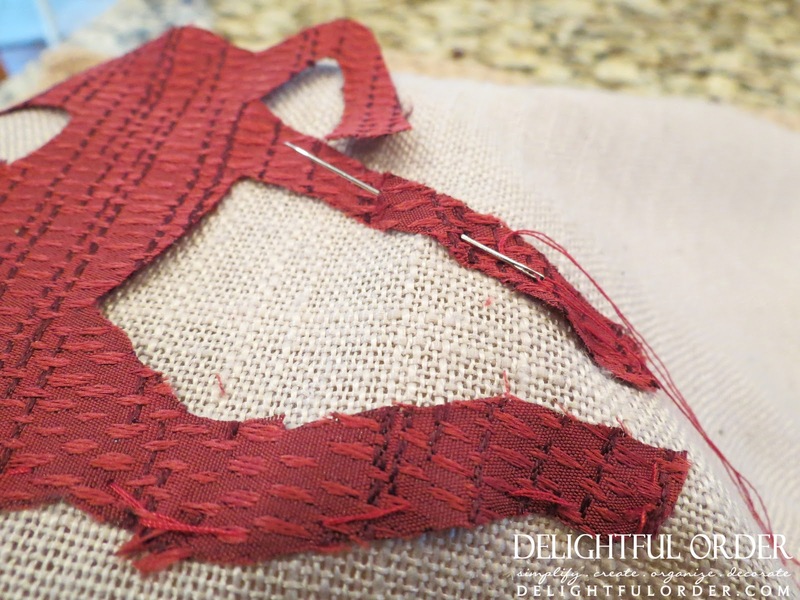 I like that it's not perfect and has some frayed edges. I bought these adorable reindeer ornaments for my Christmas Tree at the Dollar Tree. (I'll show you my tree soon.) 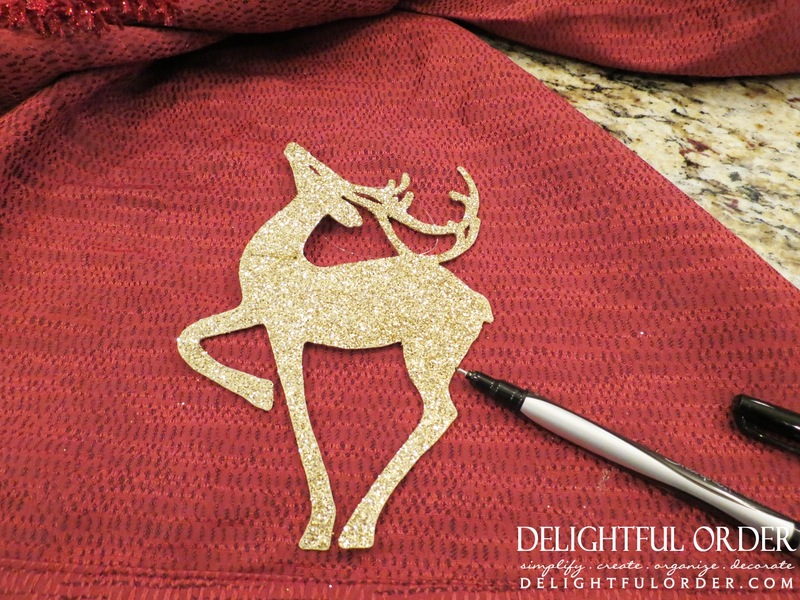 I had some red material and I simply placed the reindeer on the material, traced it and cut it out. 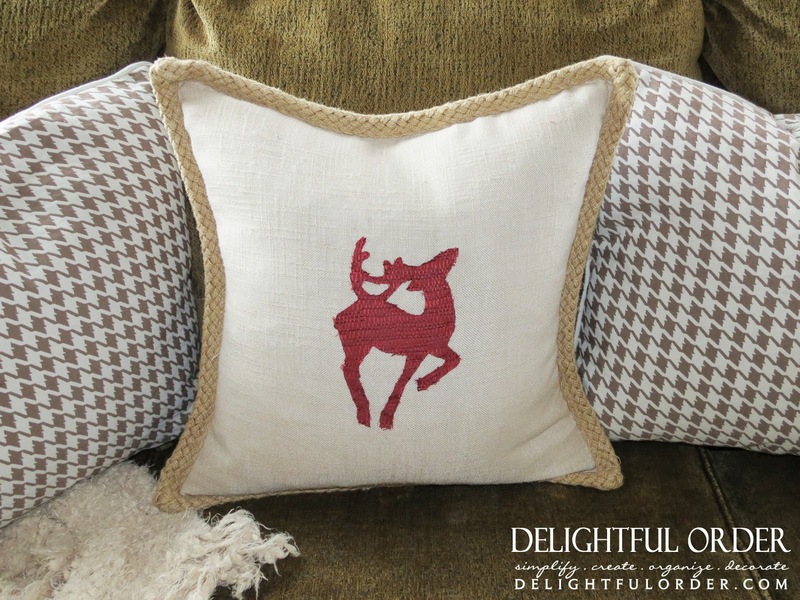 ... and I love the little pop of red on my couch and the reindeer, well I think it's just adorable! Come back soon to see more of what I've been doing around my home for Christmas Decor. It's definitely beginning to look a lot like Christmas around here and I LOVE it! I have been envying all the Christmas pillows floating around and wishing I had some of my own...if only I could sew! I love working Christmas elements into the house other than the tree, so cute! Very cute! 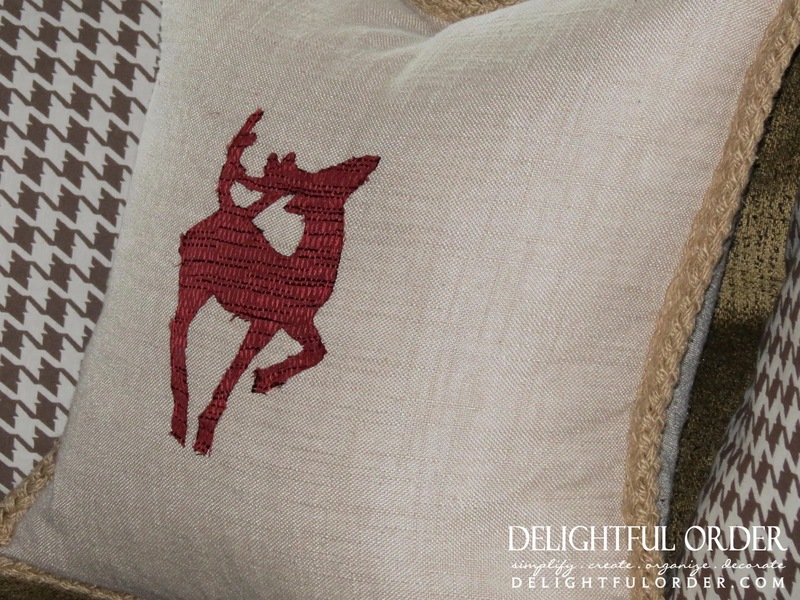 I love the fabric you used for the reindeer and also that you made it 'temporary' so you can remove him and continue to use the pillow after the holidays! I love simple decorations the best! Your pillow is just perfect!